Often in farming we see lot of issues with money most of the time farmers do not get the value for their produce.. At other times familial obligations like marriage n if any previous loans eat into the budget of the farmer pushing him to take loans as we know bgetting loan from banking institutions is not that easy one has to make several trips if you dont have some banking employee as your friend or acquaintance under such circumstances farmer is pushed towards loan sharks who give loans easily but which grows into mountain in few days if one is not familiar or does not have means to pay back the monthly interest rate .. This and erdatic climatic conditions inability to market produce often leads to menta pressure driving the farmer to think of giving up his life as the only solution as such we have seen numerous farmer suicides... In this article, we present a lady who turned to handle her father's situation n successfully trying come out of this financial crisis. When session took place it gave such positive vibes and a path a light to overcome whatever challenge life throws at us. Presenting you the session in the members own words. I choose this day because I am completing a year after entering into this venture. 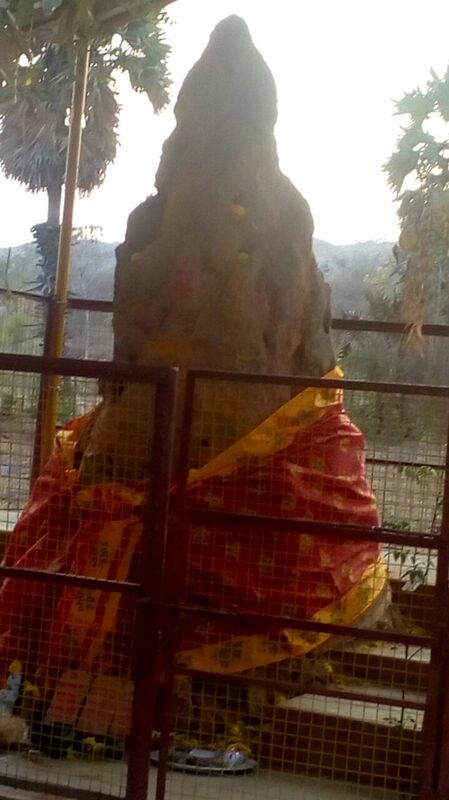 it all began during last Sankranti. This is more a journey of 3 people than mine. Me, my father and mother. My father had a 32-acre farm with a variety of fruit trees like mango, sapota, guava, gooseberry, sweet lemons. Trees like teak, sandal, mahogany, coconut. Also, father used to do rice, sugarcane cultivation and jaggery making. He was a successful dairy farmer supplying to arogya dairy products. 1200 litres/day managing his government job. He was a passionate farmer, who suddenly developed a passion for politics which was unknown to us Funds where misused and he ended up in huge debt which was unaware of the family. It came to light during his retirement. We waited for 2 years as per his request. The debt only added up. After 2 years of waiting, he became depressed and I wanted to do something for them. I visited the farm with the new perspective. Understood that it was not under the influence of chemical fertilisers. 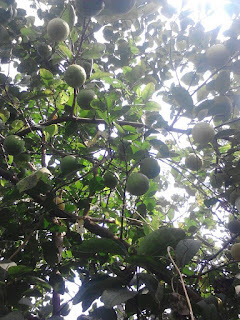 That was a new thing I learnt and the fruits tasted very good compared to those we get in city. When I got in contact with many of my friends for sale, many were reluctant to purchase agriculture land and do agriculture. One of my ex-colleague Mr.Shoban introduced me to CWF WhatsApp group.mThis was a turning point, I was thoroughly troubled then, looking out only buyers for sale never thought of any alternative. But I learnt to use what we had effectively. The time I took over it was a huge yield of sapotas. It was very difficult to manage. Used the same Whatsapp for my benefit to market the sapotas. Had a good response, but still unable to cope up as the yield was 100kgs per week, new to market unable to have any contacts, I was terrified. I was instructed to put it out for sale in a junction, the most economical way and I did it. That was the beginning, I had stalls put up in apartments and offices. Started to visit the farm over weekends, started to learn the problems. Sapotas had potash deficiency, used wood ash, and panchagavya(concoction prepared by mixing five products of a cow) as learnt from here. Cultivated beans, okra and greens that time. Thankfully didn't really have problems with pest but sometimes deficiencies. Started to discuss, argue and fight sometimes with parents to implement what I learnt here, like neemastras(pesticide prepared from neem tree), etc as they were unaware of these but finally, they yielded seeing the effect. We now use jeevamrutha(fertilizer prepared by mixing Cow Dung, ow urine, Water, Gram Flour or Besan and Jaggery) once in a month. 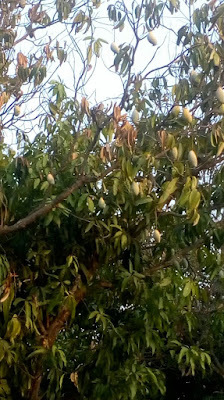 Later came mango, participated in harvesting, found that they used to shake trees, use koradu(pincer) to pluck. 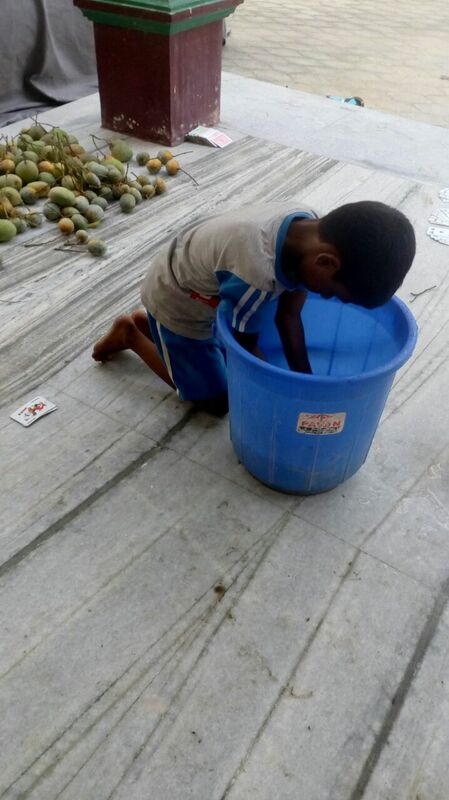 Mangoes fell down and rotted got spoilt easily. Came across mango harvester tool, another advice from CWF. From CWF discussions learnt how to clean mangoes, what is their nature, what by-products can be made, how can mango farming made economically sustainable. Now we still have amchur powder. 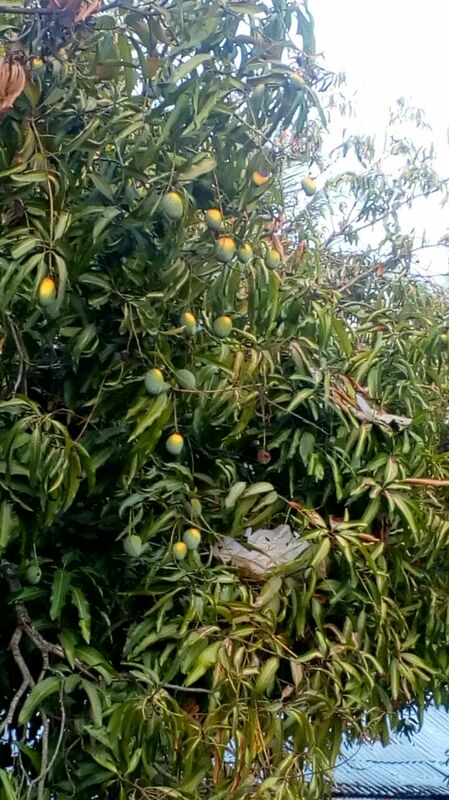 Planning to go in for vadu mangoes (the baby mango pickle) this time at the start with thothapuri mango as it is least preferred and jam with senthoora mango variety as these are least preferred in the market. 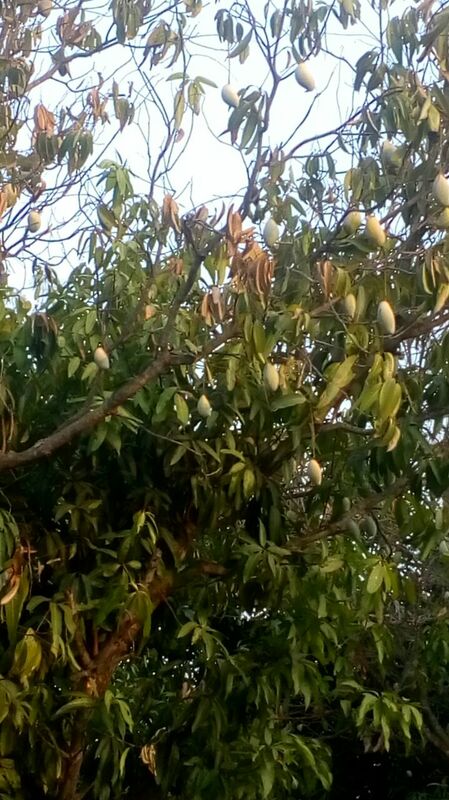 Planning to make salted pickles, spicy ones and thokku(Grated Mango).We still face trouble with coconut trees, as we are unable to get labour. we collect whatever falls down, wait for a quantity to accumulate and then go in for oil, our oil is taken by most customers as it is really good. Had a little harvest of sweet lemons. got bitten by lots of ants which had nested in those trees, understood to wear gloves and not to disturb the nests. We have been getting bounty harvest of lemons.We made sherbet, pickles, Grated Mango, salted lemons, Eco-friendly lemon dishwasher. Since it is winter now people are reluctant to buy sherbert by February things should move up.Also had amlas apart from selling amlas, we made jam, pickles, Grated Mango, we have done the preparation for gooseberry tonic(nellikay arishtam). 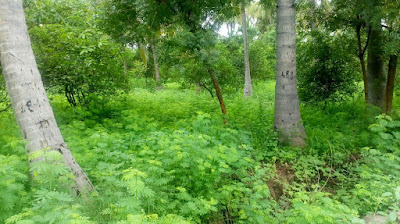 Had a good harvest of ground nuts. A good eyeopener on the soil health it was. So to summarise, be it whatever crop we can survive if we have the knowledge.That's my journey. But a moment for me to be grateful to all these people in CWF who have instilled confidence and knowledge in me and to my husband who allowed me to pursue this.Finally, Products that we made, might be useful. Mango - Vadu mango, Salted pickle, Spicy Pickle, Thokku, Jam, Candy, amchur. These sustain long term. Amla - Pickle, thokku(Grated Mango), Jam, Sherbet, Amla Powder, Nelli Arishtam. Coconut - OIl, Attempted virgin oil, was very very difficult, as we did everything manually, you can even use that grated coconut after drying and powdering. Groundnut - oil. Lemon - Salted pickle, Spicy Pickle, Thokku, Lemon Powder, Sherbet with ginger and mint flavours, Eco-friendly lemon Dishwasher.